Have you ever seen a commercial on TV showing a new-born baby being swaddled or held by their father? Your answer is likely no. But men have just as much a role to play as women, and shouldn’t be exempt from these conversations – especially when it comes to maternal and newborn health. Mothers and children don’t exist in a vacuum. They live in communities with their families and partners, who all have a vital part to play in ensuring their health and well-being. Today is World Prematurity Day, which aims to raise awareness of preterm birth and issues facing preterm babies and their families. Preterm birth complications are now the leading cause of death in children under age five. The good news is there are things we can do to help prevent pre-term births from occurring and, contrary to what we see on TV and in popular culture, men have a vital role to play in maternal and newborn health. Born On Time, an innovative public-private project, is aiming to help mothers achieve healthy, full-term pregnancies in Bangladesh, Ethiopia and Mali. Bringing together expertise and resources from World Vision, Plan International Canada, Save the Children, The Government of Canada, and Johnson & Johnson, Born On Time is the first partnership of its kind to focus on preventing preterm births, rather than treating prematurely born babies. Working on this project on behalf of Plan International Canada, I have witnessed how important it is to engage men and boys in the prevention of preterm births. In Bangladesh, where Plan International Canada is implementing Born On Time, men often hold the decision making power when it comes to family planning methods. They also control the division of household labour, how money is spent, and other issues that directly impact the health of mothers, and their ability to have healthy, full-term pregnancies. Golapy, an adolescent girl from a remote area of Bangladesh, was 19 when she discovered she was pregnant with her first child. She did not know how to properly care for herself or her unborn child and was worried for her health and that of her baby’s. Golapy was right to worry, as complications during pregnancy and childbirth are the second cause of death among 15 – 19 year-old girls globally. 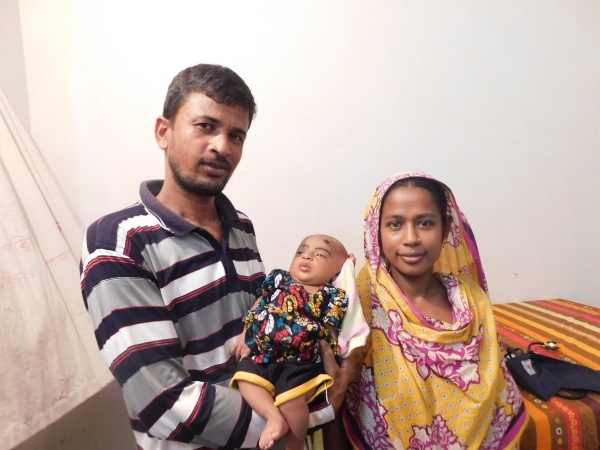 Four months into her pregnancy, Golapy still hadn’t received permission from her husband to visit the local health care centre. He thought the visit would be too costly and was concerned he couldn’t afford it. Finally, after speaking with several fathers who had visited the centre, he agreed that he and Golapy would go together. This visit was not only a medical check-up but also provided a window for engagement and education for both Golapy and her husband. He was able to learn more about his role in ensuring his wife and unborn baby remained healthy. One of the primary reasons babies are born too soon stems from unhealthy lifestyle factors, such as strenuous physical activity (workloads) or domestic violence. This is why Plan International Canada partners with local health care workers and communities to help teach men and boys about these risk factors while also working to challenge rigid gender norms. 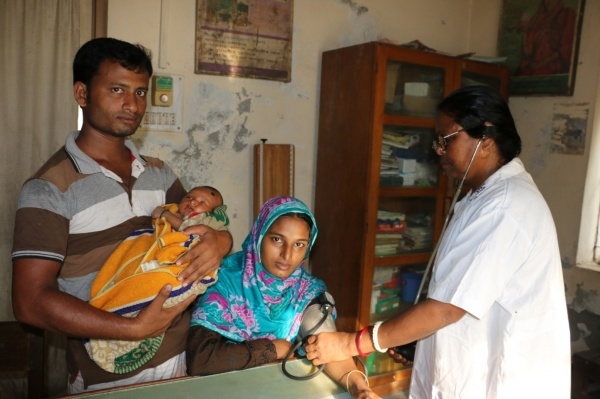 Another risk factor for preterm birth is exposure to smoke, which in Bangladesh is extremely common for women. This is because in Bangladesh, women are often expected to perform all household duties throughout their pregnancy, including cooking. Most often a simple stove that burns wood or coal is what is used for cooking, and as a result women are regularly exposed to harmful smoke. If women do not have the economic independence to buy a better stove and their husbands do not recognize the risk, they and their baby will suffer. With information and shared economic decision making, women and men can decide together to lower their risk of preterm birth. Plan International Canada works to address these unequal power relations, not just by providing opportunities for women to become empowered, but by encouraging men to discuss traditional gender roles and explore how those roles impact their lives and the lives of their families. To do this we organize Father’s Clubs, a forum where groups of fathers meet together to talk through these issues in a safe and open space. It does indeed take village to raise a child – and that village most certainly includes men! Plan International Canada looks forward to the days when videos and articles about pre-term birth will show not only a mother and her baby, but also an active and engaged father.